Photo of Larry Warbasse by Karen M. Edwards. AG2R La Mondiale has confirmed the signing of Larry Warbasse. 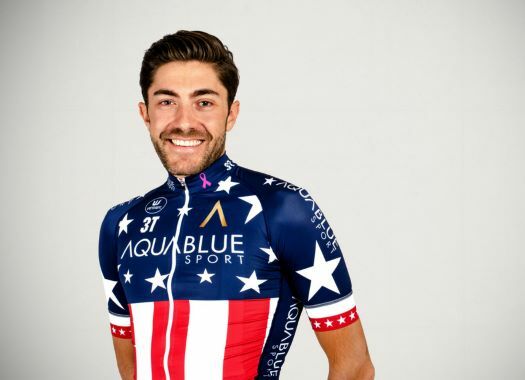 The rider will become the first American to ever join the French squad. Warbasse has seen his career at risk by being part in two teams that cease to exist: IAM Cycling and Aqua Blue Sport. He will have the chance to continue riding with the French team. "I am very excited about joining the AG2R La Mondiale team," said the rider. "This is a great team, one of the best in the world, with a long and beautiful story, and I want to take advantage of this incredible opportunity. I live in Nice and I will use it to continue to immerse myself in the French culture. "I already know some riders with whom I have good relations in the pack. I am a pretty complete rider, both a climber and a rouleur. I hope I can contribute to some more victories. I will do my best to find my place, be a good teammate, enjoy the chance to ride for Romain Bardet or Oliver Naesen, ... and seize the opportunities for my own victories that may arise." The team manager of AG2R La Mondiale, Vincent Lavenu, welcomes this new addition to the squad. "We are very pleased to have the opportunity to include Larry in our squad for 2019," he affirmed. "He is a very good rider who has been the US champion. He’s both a rouleur and climber, and he will be able to stay with the best climbers in difficult races. "Larry is the first American rider ever to join our team. We are happy to continue this 'internationalizing' our team."